A new study finds that states with ballistic missiles are more likely to initiate crises, and more likely to deter them. The presence of ballistic missiles makes military crises both more and less likely, according to a new study published in the Journal of Conflict Resolution. The study, which was conducted by Emory University Professors Simon A. Mettler and Dan Reiter, finds that states armed with ballistic missiles are more likely to initiate military crises against others, and less likely to be the targets of military crises themselves. According to the article, this is the first empirical test of the effects of ballistic missiles on international conflict.The findings seem to confirm the longstanding fears in the United States and elsewhere about the proliferation of ballistic missiles, especially among so-called third world countries. Mettler and Reiter’s findings suggest that states that acquire ballistic missiles will be more likely to engage in aggression and the U.S. and its allies will be less likely to initiate military action against them. Mettler and Reiter point out that ballistic missiles hold a number of characteristics that make more attractive from a military standpoint than air strikes. 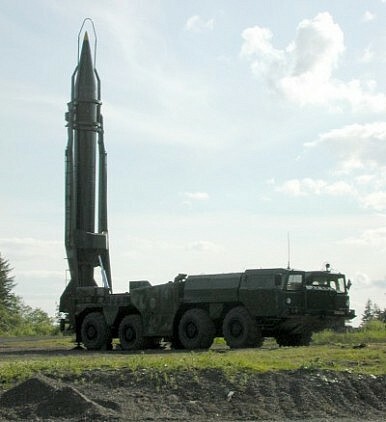 Most notably, ballistic missiles are more likely to reach their target compared with aircraft because ballistic missile defense systems are much less sophisticated than air defense and other anti-aircraft capabilities. Furthermore, unlike when using aircraft to deliver bombs, a country launching a missile attack does not put any of its military personnel in jeopardy. Finally, Mettler and Reiter point out that missiles are able to deliver their ordnance much faster given their ability to travel at rates of thousands of miles per hour. This can have huge military benefits such as being able to destroy the target’s retaliatory capabilities. The author digs deeper on a number of points. For example, the study finds that a state is less likely to be the target of a military crisis if it has solid-fueled missiles than if it has liquid-fueled missiles. The reason that solid-fueled missiles have greater deterrence power is likely because they can be launched with little notice, giving potential adversaries less confidence that they can destroy an arsenal of solid-fueled missiles with a first strike compared to liquid-fueled missiles. On the other hand, the study finds that having submarine-launched ballistic missiles or underground silos does not make a state any less likely to be the target of a crisis than if it had ballistic missiles with other delivery systems. This is somewhat surprising given the greater survivability of missiles located on submarines or in underground silos.